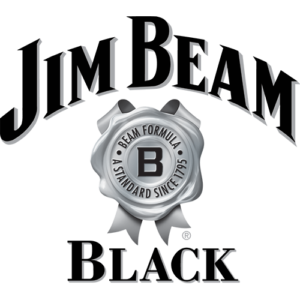 Jim Beam Black® won the Bourbon Trophy, the highest awarded accolade in the bourbon category, at the 2016 International Wine and Spirit Competition. We are proud that Jim Beam Black will be available for tastings and bottle sales at the 2018 George Washington Whiskey Rebellion Fest, brought to you by the Community Trust Foundation. Republic National Distributing Co will also be presenting Jim Beam® Devil’s Cut®, a premium bourbon with depth and complexity that comes from liquid extracted from inside the barrel wood, and the new Jim Beam® Double Oak. Double Oak is crafted in charred oak, and then aged a second time in another freshly charred barrel. Jim Beam® Double Oak is first aged in charred American white oak barrels, then we pour it into another barrel to mature for a second time. The added interaction with the oak wood results in a liquid intense in flavor, smooth in taste. The George Washington Whiskey Rebellion Fest is scheduled for Friday June 8, 6 to 10 pm, in the Allegany Museum, 3 Pershing St Cumberland MD. Jim Beam bottles will star alongside fifteen brands of whiskey and other spirits, from small batch distillers from Maryland and Pennsylvania. As well, the Whiskey Rebellion Fest will feature craft beer tastings, alongside the whiskey, rum, vodka and brandy samples. Tickets are available at the Book Center, Centre St Cumberland, Main Street Books in Frostburg, through the Whiskey Rebellion Cumberland Facebook page or simply click here.